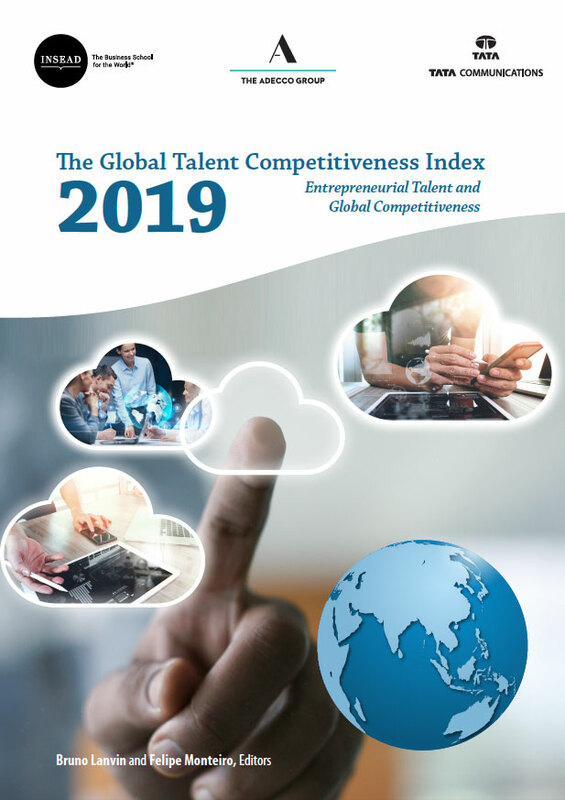 Toronto, Canada, 21 January 2019: The 2019 Global Talent Competitiveness Index (GTCI) report reveals that Switzerland, Singapore and the United States continue to lead the world in talent competitiveness, while countries in Asia, Latin America and Africa are seeing a progressive erosion of their talent base. The report confirms that talent issues have become a mainstream concern for firms, nations and cities, with talent performance seen as a critical factor to growth and prosperity. Digitalization and globalization are increasing the role of entrepreneurial talent. The leading cities are best at performing well across the five pillars of the talent spectrum. The top-ranked city - Washington, DC - exemplifies this, being a top 10 city in three of five dimensions. The increasingly central roles of cities as entrepreneurial talent hubs also underline the importance of developing strong and vibrant ecosystems, especially around innovation. With campuses in Europe (France), Asia (Singapore) and the Middle East (Abu Dhabi), INSEAD’s business education and research spans three continents. The school’s 154 renowned Faculty members from 40 countries inspire more than 1,400 degree participants annually in its MBA, Executive MBA, Executive Master in Finance, Executive Master in Change and PhD programs. In addition, more than 11,000 executives participate in INSEAD’s executive education programs each year. In addition to INSEAD’s programs on its three campuses, INSEAD participates in academic partnerships with the Wharton School of the University of Pennsylvania (Philadelphia & San Francisco); the Kellogg School of Management at Northwestern University near Chicago; the Johns Hopkins University/SAIS in Washington DC and the Teachers College at Columbia University in New York; and MIT Sloan School of Management in Cambridge, Massachusetts. In Asia, INSEAD partners with School of Economics and Management at Tsinghua University in Beijing, and China Europe International Business School (CEIBS) in Shanghai. INSEAD is a founding member in the multidisciplinary Sorbonne University created in 2012, and also partners with Fundação Dom Cabral in Brazil. Around the world and over the decades, INSEAD continues to conduct cutting edge research and to innovate across all its programs to provide business leaders with the knowledge and sensitivity to operate anywhere. These core values have enabled INSEAD to become truly “The Business School for the World”. The Adecco Group is the world’s leading HR solutions partner. We provide more than 700,000 people with permanent and flexible employment every day. With more than 34,000 employees in 60 countries, we transform the world of work one job at a time. Our colleagues serve more than 100,000 organizations with the talent, HR services and cutting-edge technology they need to succeed in an ever-changing global economy. As a Fortune Global 500 company, we lead by example, creating shared value that meets social needs while driving business innovation. Our culture of inclusivity, fairness and teamwork empowers individuals and organizations, fuels economies, and builds better societies. These values resonate with our employees, who voted us number 5 on the Great Place to Work®—World’s Best Workplaces 2018 list. We make the future work for everyone. The Adecco Group is based in Zurich, Switzerland. Adecco Group AG is registered in Switzerland (ISIN: CH0012138605) and listed on the SIX Swiss Exchange (ADEN). The group is powered by nine global brands: Adecco, Adia, Modis, Badenoch & Clark, General Assembly, Lee Hecht Harrison, Pontoon, Spring Professional and YOSS. Visit the Adecco Canada website, Facebook, LinkedIn, Twitter @AdeccoCanada and Instagram.